This Cosplay Outfit is full of heart and a lot of love! 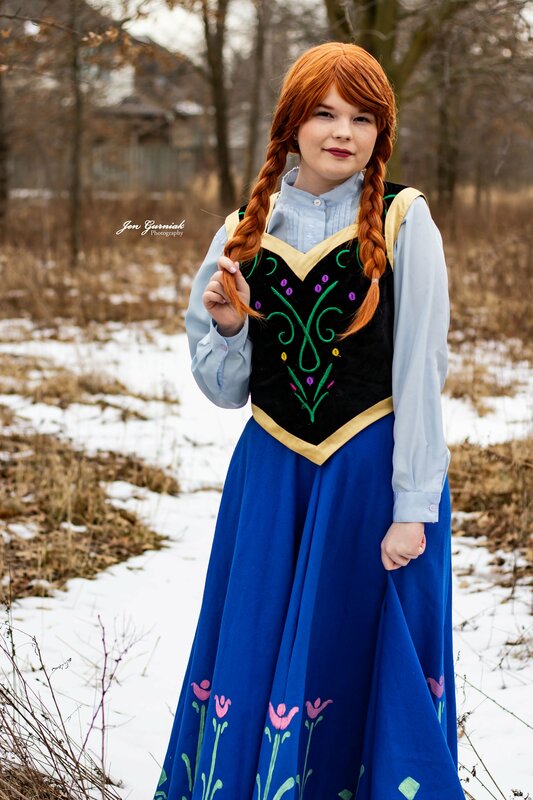 I adore Frozen, and since I relate so much to Anna, I decided to make this Cosplay! The blue circle skirt was made completely from scratch. We bought the fabric from “Fabricland”, and a friend of ours sewed it. I hand painted all the designs on the skirt. The blouse was actually in my nama’s closet and it fit perfectly and was exactly what I was hoping for! The boots were a Value Village find that fit like a glove and were the perfect length! I lucked out. I then used a gold sharpie to do the pattern on the boots. The vest was a second-hand purchase from another cosplayer who had it before me, so I’m not really sure where it originated. 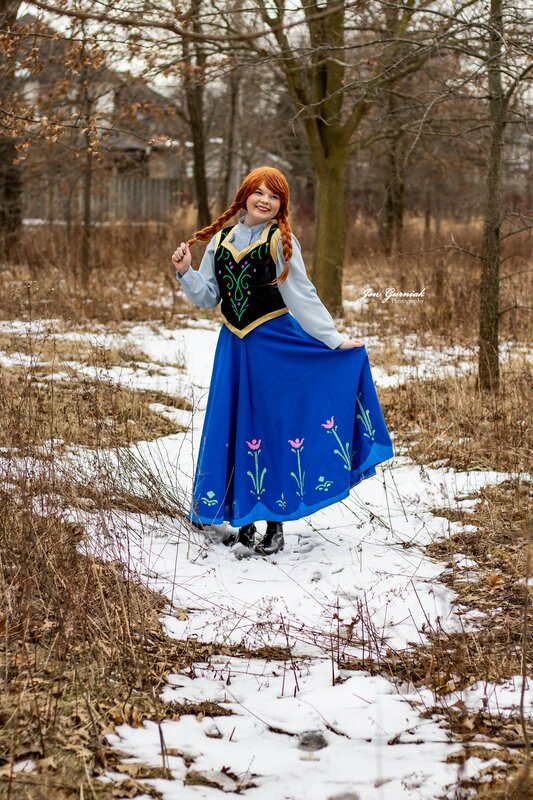 Jen Gurniak Photography and I decided to go out while the weather had warmed up a bit, and we did this cosplay photoshoot for fun!